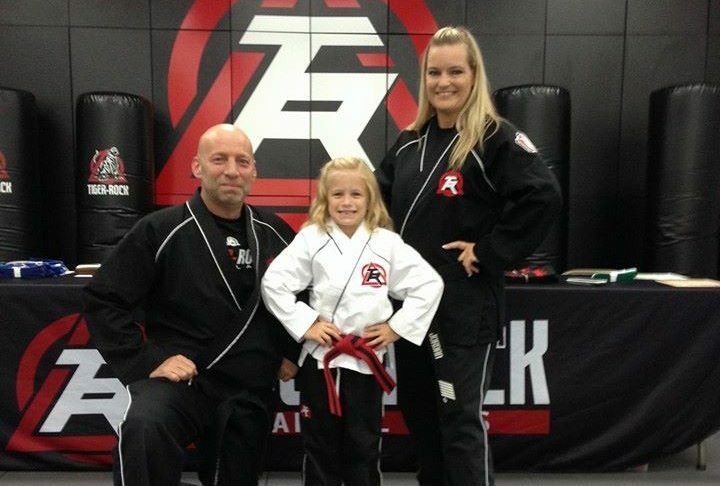 Since 1991, Tiger-Rock Martial Arts of Kingwood has taught martial arts, life skills, and physical fitness to kids and adults in the Kingwood area. The Certified Instructor team at Tiger-Rock Martial Arts of Kingwood has over 100 years COMBINED of training experience. Rest assured that when you step on the mat for the first time, you will be under the guidance of instructors who have extensive taekwondo knowledge. Tiger-Rock Martial Arts combines taekwondo, the world’s most popular martial arts form, with physical fitness and other martial arts disciplines to create an incredible workout. You will build muscle tone, skill, and confidence with our training. Regular martial arts training can boost your cardiovascular health, improve your endurance, and help you lose weight. It is a great, healthy activity that you can conveniently add to your daily routine. Tiger-Rock Martial Arts lessons are set up to allow kids and adults the biggest opportunities to participate! Kids classes are held in the late afternoon and evenings after school while adult classes are held later in the evening after rush hour! No contracts. Unlimited attendance privileges! No ugly long-term contracts. We want martial arts to work for you, not the other way around. Also, when you become a Tiger-Rock Martial Arts Academy member, you enjoy unlimited training privileges. Come as much as you want! You also get access to over 100 Tiger-Rock locations across the country! At Tiger Rock Martial Arts of Kingwood, we provide health, fitness, and skills training to students of all ages and backgrounds. Our wide variety of programs allows everyone to have the best experience possible as they are trained with a unique blend of the latest in modern sports and fitness training and hundreds of years of martial arts tradition. By catering to you and your family’s on the go, busy lifestyle, there are no excuses as to why you cannot join us on the mat today. With a convenient location right in the heart of the beautiful Kingwood area in Northeast Houston, Tiger Rock Martial Arts of Kingwood aims to be positive force to help you improve your daily life. We’ll see you on the mat!